When you start your blog/website, you will need a custom domain. With a custom domain, you will be seen as a blogger or online business owner who takes the blogging serious. Even with this, there are some common domain name mistakes some of us bloggers have made or are making presently. 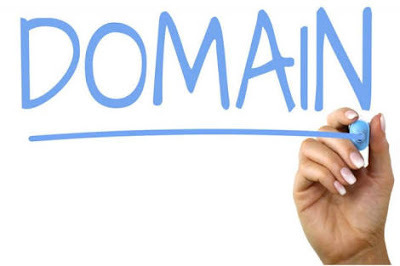 In this article, I will be sharing with you what domain is, how to choose and buy a domain name and domain name mistakes I and others have made. 5). Do not use difficult-to-pronounce and too long address or name. 2). Buying non .com extensions because they are cheap e.g .tk, .us, .online, .website, etc. Domain name is your personal web address on the internet that you will be globally recognized by. It represents your blog, brand or business. E.g www.justasknurse.com, www.fellownurses.com etc. When starting your blog, [read how to start a blog here] you will need a custom domain name. But the issue is, how do you choose and buy your domain name? Before you just go ahead to choose a domain name, perform keyword research on it. Findings revealed that a domain that says everything about your niche perform better in SEO than domain that’s not. If you want o use your name or nickname, search it first on google to see if its been used for a similar niche or not. I made this mistake then. When buying your domain name from any registrar, look out for the ICANN and Whoisguard policy. Are they free and included? Whoisguard privacy protects your info on the internet. Namecheap offers free Whoisguard privacy for life. One major mistake you can make is having hypen (-) in between your domain name as in www.i-am-sirphren.com. Remember, if your visitors typed it without the hypen, it won’t give them their expected result. Make sure your domain name is as short as possible. Having a too long name may be discouraging to your audience. Apart from making it short, make it a name that is easy to pronounce. Using a name difficult to pronounce is out of it. As at the time of writing thus post, am unable to remember a domain name of a blog I came across months back. You know why? I can’t spell the name let alone pronounce it. 2). MasterCard or Visa card details or Paypal account. Then, proceed to Namecheap choose and buy your domain name. From when I started my blogging journey till this moment, I have made some mistakes, especially with domain name and I have seen other bloggers make some. Sometimes, what we don’t know, we don’t just know it. I recently wrote on the benefits of custom domains on your blog. Sitting on free domains e.g SirPhren.blogspot.com or sirphren.WordPress.com is not the best way to go. Using free domains make people look at you as someone who is not serious about the blog and may not want to partner or advertise with you. Apart from this, if google or WordPress mistakenly delete your blog, you have lost all your articles. When I started, I thought it was cool to have free domains, but Alas, it wasn’t. Thinking about starting your blog, start with a custom domain. I made this mistake last year and have seen some of my friends do the same. If you are creating a blog for an organization, it is cool to use .org. The best extension you can use is .com. You know why? Because that is what people are used to! You can even prevent others from buying them by buying and redirecting them to a single domain (if you have the means). The unfortunate thing sometimes is hoping to buy the .com extension later and find out that it has been taken! Like one of my friend did. He had to buy a different domain.When you extend your domain to your country alone e.g .in, .uk, .ng etc, only people from your country will see your blog on search engine when you start ranking. If you are using .com.ng (the ng stands for Nigeria), check the .com version of your domain and see. Another person may decide to buy the .com version and start competing with you if it happens to be the same niche as you. Remember, sirphren.com is different from sirphren.com.ng or .org.ng or .co.uk. You get what I mean? Good! Another mistake I made was paying for one year when I could have paid for 2-3years. A .com domain usually cost $10.98 on domain in the first year. Buying for two years will be roughly $22. Now that I have bought for just a year, renewal is $22 alone! Which could have covered the cost of two year’s domain. When buying your domain name, have the renewal fee at the back of your mind. Before you jump at your domain, check out who your competitors are and the niches they are in. The older your domain name, the higher your domain authority (if you do it right). Changing your domain name will do more arm than good. Assuming your DA is 30 before you change domain. You will have to start from zero again. Not only that, you will have to update your details on social media and even with your visitors. I made this mistake, don’t make such. They are costly. In this post I have tried to highlighted what domain name is, how to choose a domain and the common domain name mistakes made by blogger. Your domain says a lot about your blog. Reduce the mistakes to minimal. What other domain name mistakes do you think do you think bloggers make? Feel free to share with me.